Finally it happened. 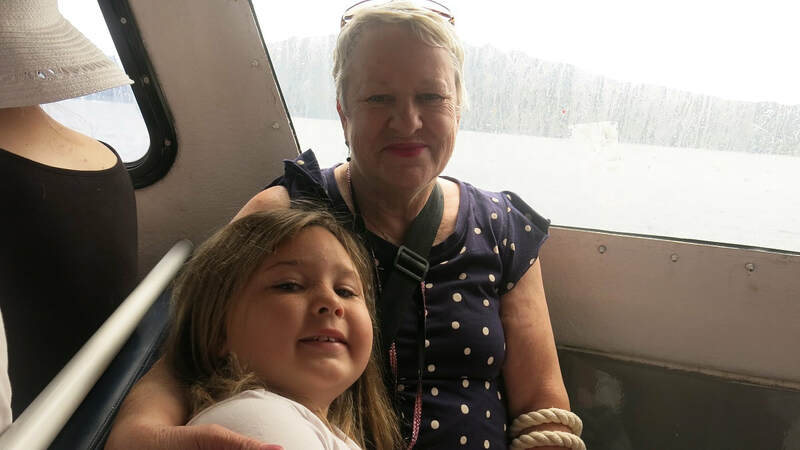 We booked a 10 day cruise on Carnival Spirit and I set off with my granddaughter Laylah, 7, and my parents John and Marie Kelly of Shoal Bay, NSW. The first thing I noticed at breakfast on the first day at sea was a lot of other families had decided to do exactly what we were doing. 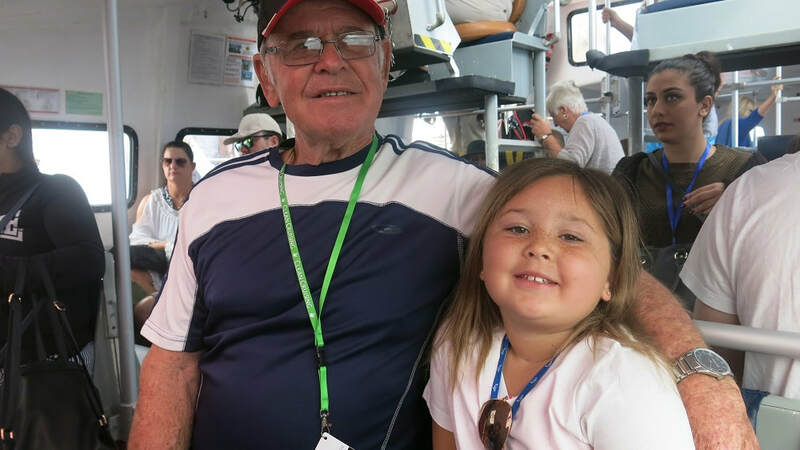 There were grandparents and grandkids everywhere: more than I had seen on any other cruise. Multigenerational cruising, where three or four generations sign up for a voyage together is the new buzz word of the cruising world. In fact, it has been voted by experts as the number one trend in world travel in 2018 – 2019..
We booked a balcony cabin which it a bit more roomy for the four of us, but I would recommend you book separate cabins if you have the funds. On the first day we set off with Laylah to explore the kids’ facilities and I was quite frankly astounded at how good they were. 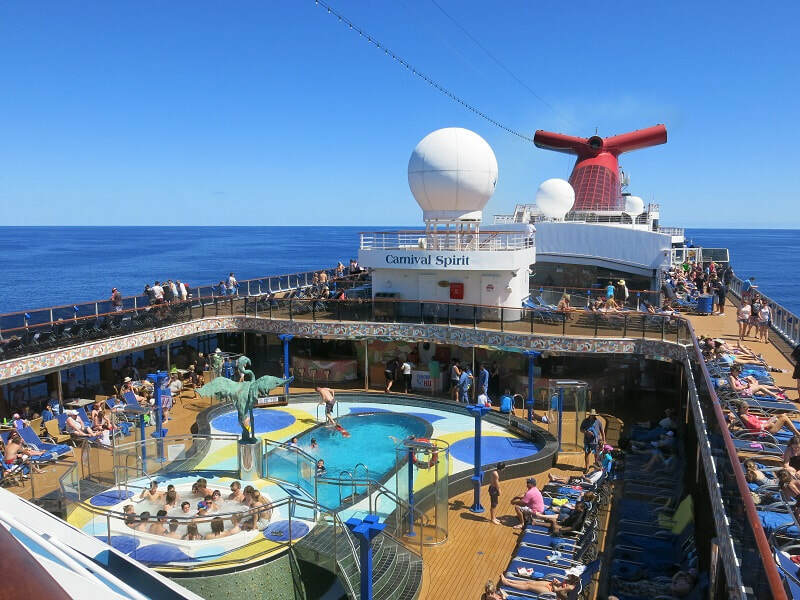 I had cruised on Carnival Spirit before, but the kids’ facilities are something you really don’t notice until you have a child in tow. Laylah loved the kid’s facilities right from the start. She was in the 6 to 8 years group and was designated as a Stingray and received a special backpack with Stingray gear inside. Camp Ocean is Carnival Spirit’s children’s facility and it was alive with atmosphere and carefully chaperoned activities in a safe and secure environment. At Camp Ocean, 2–11 year-olds stay busy, keep active and have fun as they enjoy all new ocean-themed activities and entertainment made for kids. The professionally supervised, age-based groups and with their “cool” marine-life themes allow the kids to make friends easily. The littlest little ones, ages 2 to 5, join the Penguin colony and engage in activities like Musical Icebergs and Ocean Bingo. Then the 6 to 8 group is the Stingrays, who enjoy events like Pirate Game Night, making sea salt art or even designing their own aquarium. Night Owls opened at 5pm and was free until 9pm. From 9pm to midnight it was $8 an hour. Some nights from 5.30pm the kids could dine independently. Pizza, Burgers, chips and donuts were served for those who decided to dine there. We decided to book a table at 5.30pm in the grand dining room and have our evening meal together. It was a chance to allow Laylah to learn all about reading a menu, talking to waiters about the dishes and selecting her courses. This was a lifetime experience for her, something she could take with her though life. Laylah loved the Cat in the Hat breakfast in the dining room with green scrambled eggs and ham. The characters from the movie and the book kept the kids entertained. Lots of laughing and smiles all round! The ship had an amusement arcade which was fun and you could use your cruise card to pay for the games. There was also a studio, actually beautiful big sunny room, exclusively set aside for arts and crafts. I found most families tend to meet at breakfast, decide what they're going to do that day and then head off in all different directions. There was a deckchair with my name on it while my father went to the gym (he’s 85) and mum went off to buy our bingo tickets for the 11am draw. The cruise was extra special for my mum and dad because they celebrated their 65th wedding anniversary on board. Kids' menus are provided in the main dining rooms and buffets and special meals are laid on to keep the kids entertained. If you are travelling in a large family group, booking dining tables in advance is highly recommended by, to make sure you can all be seated at adjoining tables throughout the cruise. We set times each day to meet up for breakfast, lunch and dinner. 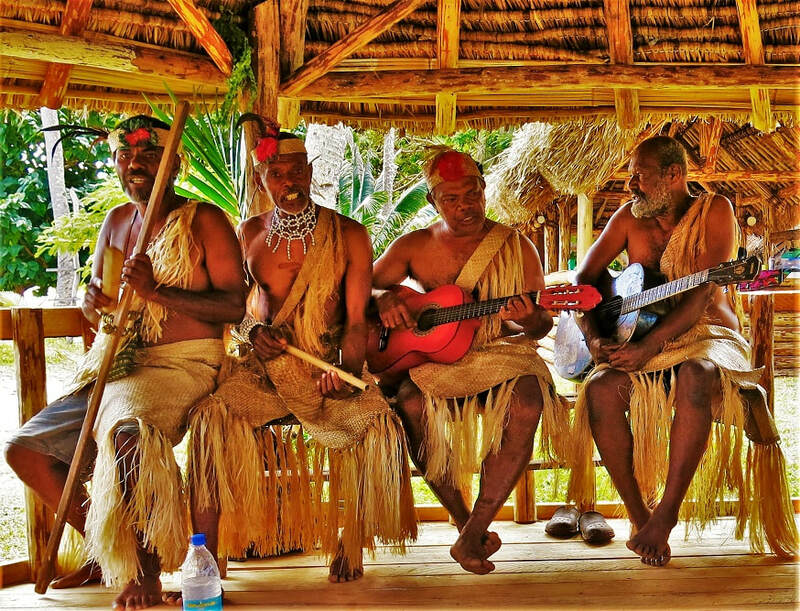 Advance planning is the key to success as well when going ashore at stunning places like Mystery Island, Isle of Pines and Mare. We set up a base as soon as we went ashore and everyone knew where to meet. Laylah went snorkeling each day while we found a shady spot to settle down. Dad went off exploring on foot. It pays to book your shore tours before you go because they tend to sell out quickly, especially the morning tours. 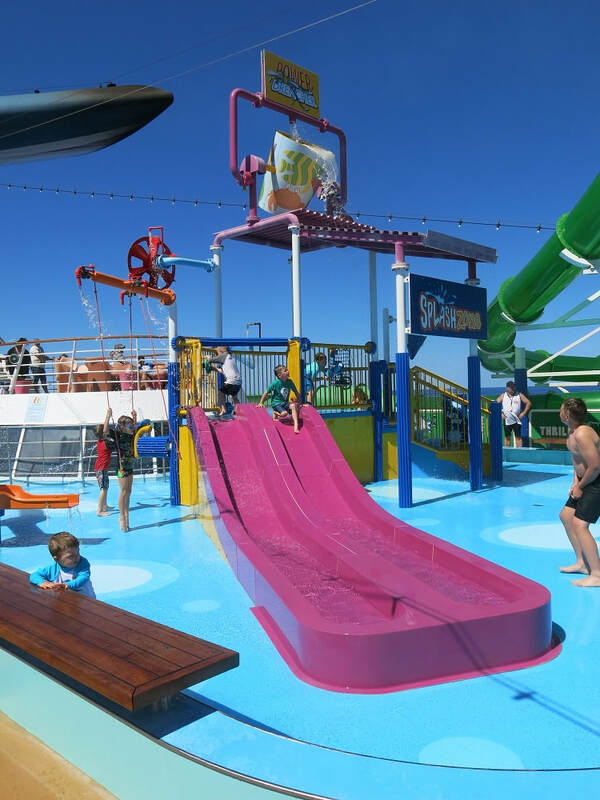 The Waterworks is great for kids of all ages and is the number reason kids want to cruise with carnival. 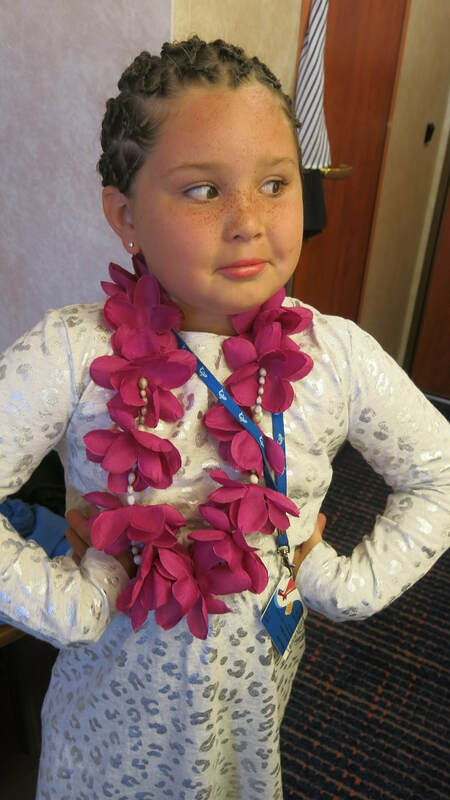 I’ll leave the final word with Laylah on multigenerational cruising: “Nan, when can we go again”?